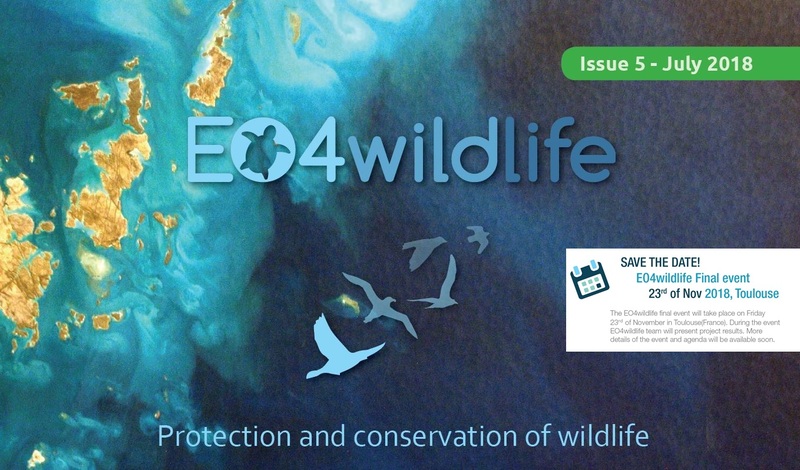 The fifth EO4wildlife Newsletter is now available. The Newsletter includes the announcement of the project final event. The event will provide insight into the EO4wildlife results on Friday 23rd of November 2018. Toulouse has been chosen as place to host this event and present the EO4wildlife platform. This issue also includes an article about the third Advisory Board meeting that took place in Paris. During 2018 the project has also been promoted in relevant events worldwide (Japan, France, Malaysia and USA). A summary of these events has been included in this newsletter. Don’t forget to subscribe to the project newsletter!! We will publish more details about the EO4wildlife final event soon! !